Change of Re-Distribution Policies: You can freely re-distribute this tutorial, but you MUST credit the original authors for it. Also, inform me of the site that you want to post this in first. That is all. Additional Information: I understand that there is this misconception that computer don't support Simplified Chinese. However, please be clear that with Applocale, ALL computers should support the language. For your convenience, I have reuploaded the ANI Editing Starter Pack. Inside contains HxD Hex Editor setup, ANI Tool V1.03, apploc.msi, My own notes and 1.005 Original Script.ani Files. I would recommend that you edit the Script.ani or any other scripts on your Desktop for convenience. It would be wise to create a shortcut to the Ani tool from Applocale to reduce the hassle of always having to start the Ani Tool with applocale. Note: Open ALL .hod and tail.dat files with the Hex Editor to avoid mistakes. This is the list of Attack Types that Ephemeral has painfully come up with. All of the information in this code is credited to him. Note: This is more helpful for modders who actually know what they are doing, if you are a beginner, just refer to the ones above. 17 | Unknown - Probably Magician Type, requires LoadxFile crystals. Some of the Unknown slots are filled by cr0zzmeheart. ANI editing refers to the editing of the ANI, including attacks, movement styles (referred to as .HODs), damage, speed, and many more. Basically how the mech is potrayed by the game. To start off, you will need to choose a script you want to edit. I reccommend scripts like KD-04_3, KD-05 to KD-06_2, KD-07 and KD-07_2. This scripts are generally more easier to mod as they contains the standard files you will see in almost every mech. *VERY IMPORTANT* Always BACK UP your work! No matter how tiny it is or not important, just back it up, because in ani editing, sometimes you have to go back to the previous section, but you do not know what it is..
Open Tail.dat with your hex editing program. Next, scroll down to the part that you want to edit, and start editing base on what you will learn for the rest of the tutorial. How to Find the Different Parts of a Mech? Firstly, you would have to navigate through each folders. Please read what the .hod files are before you ask me anymore questions about where these parts are etc. Secondly, you will need a little bit of creativity, and reading comprehension skills. For instance, when you see something like L_Step, THINK!!!! L stands for left, step stands for.. Well, steps! So L_Step would have to do with something like stepping left. In the script.ani, it is essentially left strafe. When you go to folder 22, and you see "Robo_boostdash01.hod" once again, THINK!!! Boost have something to do with boost, like thrusting, and with "dash", it would be like thrusting away and dashing. This is essentially using thrusters,when you double tap the default "Z" key in the game. When you see robo_stand.. Well its easy enough, its just how the mech would stand. Pretty idiotproof if you ask me. When you see something like robo_stand_s, it would be how the mech stands in while equipping a sword. This is not so direct so i added it here. Also, there is a limit to each gun and sword movements. The first folder, all the way to somewhere around folder 23, it would be the movements of the mech while WEILDING A GUN! The folders afterwards till somewhere around 40+ would be the movements while WIELDING A SWORD. There is a more complicated one, so I'm going to state it here. For guarding while weilding a gun, it would be folder 19. However, sometimes, instead of seeing robo_guard, you would see robo_reflect instead. Well this would make sense considering somem mechs DON'T guard, but reflect beam attacks instead, like KD-07. If the mech reflects an attack you would see robo_reflect. If its guard, you would see robo_guard. Well, that's about all I can teach you about finding the parts of a part of a script.ani. Experiment them for yourself to find out more! Here are more examples of figuring out which folder does what. This is essentially WAKING UP AFTER BEING KNOCKDOWN, as the name has stated UP, as in ROBO WAKE UP! This is essentially the start of Up + C, as in Forward sword slash, where the ROBO DASHES in front WITH SWORD, BEFORE IT STARTS ATTACKING THE ENEMY. I'll starts explaining the things it represents after the 1 in blue. I would be using Weapon Type number 24 to explain. Note that this works for ALL PROJECTILES ONLY, THIS DOES NOT APPLY TO Weapon Type number 57, which is sword attack. The game will play the 0 attack first, followed by the 1 and finally the 2, so it does not really matter how you place the numbers. This is not really important, unless you have a specific order for how you want the attacks to come out as. The MAXIMUM NUMBER you can place in this is 19. If you used the number 20 or above, it would show some errors when you select the mecha, although in-game it would work fine. The 1 in blue represents the type of attack. For instance, 1 means Small Beam, 3 means Small Missile, 4 means Missile pod... Notice anything similar? Those are the numbers you just memorised. These numbers are usually the most important things that you need to change an attack. 'nuff said, let's move on. 100 would deduct 100 points from here. 0 would mean that the energy gauge would not decrease. Congratulations! You have completed the first part to the ANI Tutorial! To improve yourself, the only way is to study other people's scripts to get a better idea of the whole thing. Now for the alert ones, you may be wondering why I explained the attacks only halfway through. The previous post is just an introductory lesson on .ANI editing. It is therefore imperative for the basics to get grounded into you before we move on. 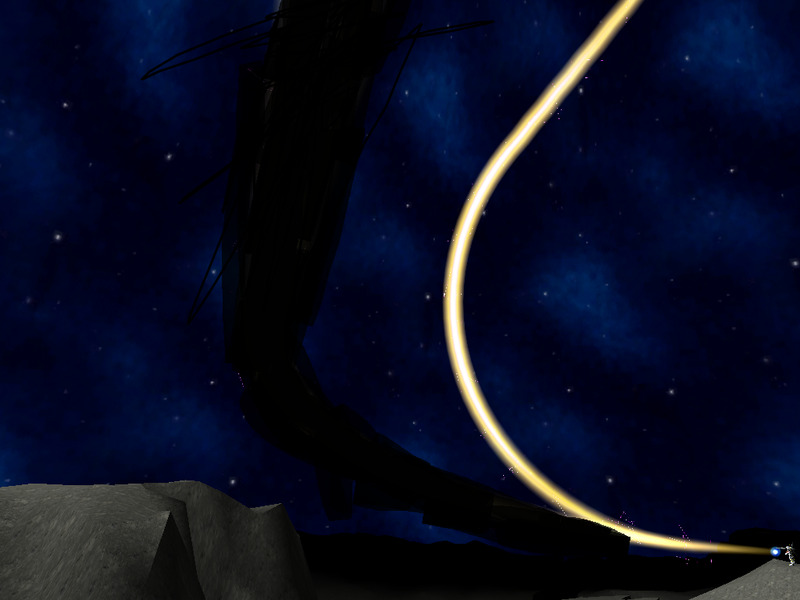 Not only that, changing data, while allowing the game to still work greatly boosts your confidence about .ANI editing. Moving on, for those attacks that does not require a beam, example missiles, you can just stop after the fourth number. Up till now, you may also have realised that there are several number of words to represent the attacks, Eg. RunProc2, WeaponAttack2 and WeaponAttack. Usually, RunProc2 is used for beams, and the other two is used for attacks like missiles, by the author. However, all three can also be used for any situations. All 3 will still give you small missiles when attacks. Here is a list of Attacks from what I can remember that can be used with just 4 numbers. In laser beams, they do it differently. All of the other extra numbers is what will be needed for defining a beam. Additional Note: I would be using Weapon Type number 24 to explain. Note that this works ONLY FOR Weapon Type number 24! It MAY OR MAY NOT apply for other projectile types, this can serve as a ROUGH guide ONLY. The rest is up to you to experiment for yourself. I have added spaces in between to explain better. Now after reading my first tutorial, I'm sure you already understand the first 4 numbers, so let's move on. This is an example of what it means (For the width of the beam). Extra Caution: A LARGE BEAM DOES NOT EQUAL HIGH DAMAGE. Controlling damage will be explained later on. The 150 in olive represents the speed. The higher the number is, the faster the beam will reach your opponent. For a sure hit accurate beam, place this value as 1000 or something. Let's move on. The 80 in brown represents the time the beam will stay there. It is measured in deci-seconds. If you change this to 9999, example, it will be a really long time later before the beam that is shot disappears. It is recommended to keep this value according to when you can start moving your mech again, UNLESS you want the beam to be like Wing Zero's Buster Rifle, where the beam stays even after you have move away. Last but not least, the 28 in violet represents the texture number (Refer to my .ANI Tutorial Part 1). In this case this means beam7 in the Texture folder. instead, and this will be sufficient to get the script running. So now, I'm going to explain the final steps for the data bits of a typical beam command. Note: I would be using Weapon Type number 24 to explain. Note that this works ONLY FOR Weapon Type number 24! It MAY OR MAY NOT apply for other projectile types, this can serve as a ROUGH guide ONLY. The rest is up to you to experiment for yourself. Ignore the portions cancelled out in black in the pictures. A value of -500 was used; the beam takes a reasonable distance to turn towards the back. This is the forefront view for you to have a better look at it when a value of -500 is used. This data ONLY works with NEGATIVE numbers, (eg. -50). By now, you should have realised that the number keyed in after the negative (-) acts like a "speed turning" medium, so if you want the beam to turn instantly towards the back, use a very large negative number such as -5000, like the one shown in the picture below. The 0 in orange represents vibration. Yup, it's vibration (don't get any funny ideas now), but only the mech vibrates. 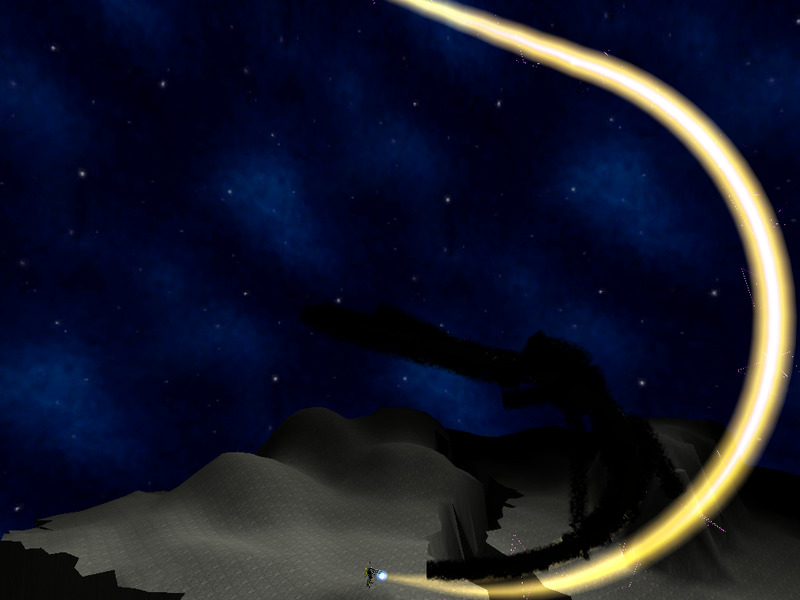 This can be used to show intensity, if you want to make it look like the beam shot is very intense. Note that this only works with a positive number (eg. 50). Unlike negative numbers, you need not add the positive (+) sign when you edit this bit. The greater the numerical, the stronger the intensity of the vibration. [mechs are females, just to let you guys know, you call a machine "her" and not "him", example cars, ships, planes are called "her" (female), and not "him" (male)]. You can decide whatever numerical you want, so long as it does not cause any errors. However, the smoke only appears when your mech is on the ground, or near the ground. The smoke will not come out when the mech is in the air, so for the best effects, change the tail.dat such that the subattack will cause the mech to drop to the ground first before firing. The 0 in red makes the beam ROTATE after its shoot out, meaning, it would shoot out in a "twist and turn" manner, but it would still shoot straight, its just that the beam rotates about its line of action. The numerical is strictly 1. 0 is to deactivate, 1 is to activate. NOTE: You will need to get this in every time you add an attack, because this is THE MOST VITAL INFORMATION that the game needs to unleash your attack. Without this, your damage will be ziltch. CometStrife wrote: "It does not matter if the attack is nice looking, fancy, fast, long, or epic, so long as it does not hit or does no damage, it is a lousy attack." I shall get on with explaining what they do. The 400 in orange represents the actual damage for that part of the script. Example, there is a missile in the section. 400 would mean that the missile deals 400 damage upon impact. For sustained beam attacks, they are different. 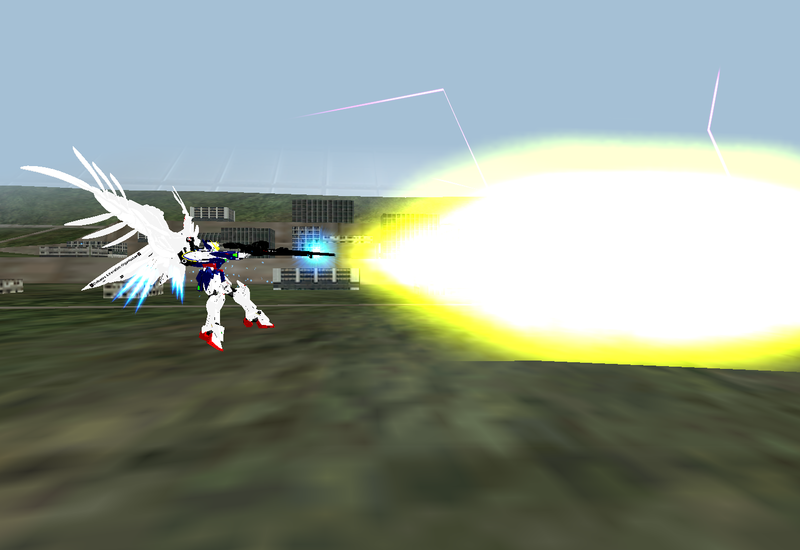 Like the one used for the ν Gundam's subattack 1, if your beam attack is similar to that, 400 would mean 400 DAMAGE PER SECOND, and it would be too strong, so please be careful on the damage for the attacks you are making. The 400 in cyan represents the illusory damage at which the victim is receiving, BEFORE he/she drops down, and your lock-on turns yellow. 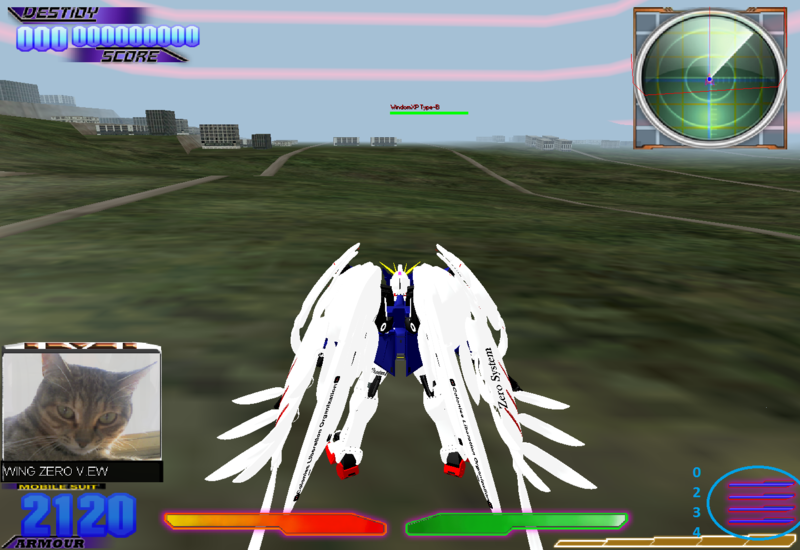 For example, each mecha can only receive a certain amount of damage. The actual damage that the mecha receives may be say, 400. However, if you set this illusory damage to 500, although the health of the enemy takes a shock of 400, it appears to have taken 500 damage instead. This would cause it to reach its limit and fall, turning your lock-on to yellow. If you want any mech to fall instantly, then just set this something high like 1000. This would mean that any mech would feel the effects of a 1000 damage attack on it, although in reality, its health only deducts by the actual damage that it received in the value before this. The 0.4 in green represents the distance that your opponent will move TOWARDS YOU OR AWAY FROM YOU (The Z-axis) upon getting hit by the attack. 0.4 means that it would move back by 0.4m (Of course according to the game's scale), and -0.4 means that it would move forward towards you by 0.4m. The 0 in violet represents the distance that your opponent will move VETICALLY upon getting hit by the attack. 0.4 means that it would move UP by 0.4m (Of course according to the game's scale), and -0.4 means that it would move DOWN you by 0.4m. Now on to AttackFlag. From what I know, they represent the rate at which the enemy FEELS the damage. Meaning, if you place this value as 0, the enemy, although is receiving damage from your beams etc, they can't FEEL the beam, so they would basically just be able to fly out of the beam. A recommended value for this would just be 3. Note: Do not confuse FEEL OF DAMAGE with ILLUSORY DAMAGE (eg, the 400 in cyan). They are different! Feel of damage is the strength of the attack that the mech THINKS it felt. Illusory Damage is what the value of HP that the mech THINIKS is deducted. Its rather hard to explain this, so try it out for yourself to know what I'm talking about. Before anything, the folder that controls the stats of the swords would be folder 18 for 94% of the mechs (Other than most of the female mechs). Folder 18 is the folder which controls HOW the mech changes weapon to sword. The 55 in red, as said before represents laser sword. If you do not want a laser sword, change this to "00" or " " or " 0" or "0 ", without the "" of course. 0 is not a valid weapon-type, and hence no laser sword would appear. 1 is similarly explained before, let's move on. The 230 in brown represents the length of the sword. The larger the number is, the longer the sword will be. A standard laser sword size is 200. If the sword is too long, same thing.. an error will appear. The 0 in brown represents how long the sword will stay there. For example, if you want the sword to last for 60units of time in the game's context, then change this to 60. If you want the laser sword to last until the weapon set is changed, set this as 0. For the rest of the script, different values would alter the properties of the sword, depending on what you changed. Feel free to test them up and post it as a guide/tutorial! Note: The paragraphing (0d0a) , "tab on your keyboard" (09) and spacing (20) is not necessarily needed throughout the entire script.ani. They are just there to make the overall script look more presentable. If you have parts that you need, you can just replace them with any of these numbers to make spaces. If you have extra parts, just fill all of them with spaces, but remember this: You CANNOT remove anything that is a dot (00), from the script, unless it is originally some other number, and someone else, or you change it to dot (00) yourself. Regarding the above information, you may not understand of it now, but you will definitely need them later on when you understand more about .ANI Editing. Congratulations! You have completed the second part to the ANI Tutorial! Now your scripts can be a little more unique than the rest. Note: For the movements while WEILDING A GUN ONLY, but you control the speed of both in ONLY THE GUN FOLDER. Note: The folders are the usually in this way for all the .ANIs. If a special script's Move Speed does not tally with this, then you will have to manually search them for yourself using the ANI_list.txt of the ANI_Output folder. Now, let's analyse just the walking moveset. Once you understand this, the others is roughly the same. For the 0 in orange, 0.08 would mean that it travels at a speed of 0.08distance HORIZONTALLY every time you use that moveset. In this case, it would travel 0.08 distance forward when you are walking.. A negative number, again, similarly denotes that it would be walking backwards. This would be the z-axis in the game. For the 0 in red, this would mean the distance it would move VERTICALLY, should this moveset be used. Eg. 0.4f would mean that it would walk VERTICALLY upwards by 0.4 distance according to the game. A value of -0.4f would mean that it would walk VERTICALLY DOWNWARDS by 0.4.. You get the gist of it. A "-" sign would ALWAYS mean the other way. In this case, this is a WALKING moveset, so of course it woould be sensible to keep this to zero. This actually represents the y-axis in the game. For the 0.08f in cyan, it represents the distance moved along a x-axis, meaning it represents how you move LEFT or RIGHT. A positive number would allow it to move right, while a negative number makes the mech move left. Kinda like the x-axis of a math graph. For the the f at the back of all the values, it represents the direction the mech would move. This overrides any MoveLock(); commands, so this is quite useful in most instances. EXTRA PRECAUTION: Be AWARE OF THIS! For force, YOU CANNOT PUT AN EXTREMELY HIGH VALUE... A HIGH VALUE WILL PUSH YOU ALL THE WAY OUT OF THE MAP TO NOWHERE, AND THE GAME WILL CRASH IF ITS TOO FAR OFF! I recommend that you DON'T edit this, unless you are very sure of what you are doing. But I will still tell what it does anyway..
ONLY in the Flystop Moveset will you encounter this, and ONLY fpr the Flystop, you can edit this like a normal Move Command. Actually for this, the 3 numbers is the same as the Move Command, so I shall not explain anymore... However, the Force Command EXERTS a certain value of FORCE on the mech itself, it is different in a way that a value as small as 0.01 will ROCKET you all the way halfway through the sky, and as such, a value of 0.02 will cause you to fly out of the map, so be VERY CAREFUL with this. The ... in every command indicates that you will have to fill in your own value. The words in cyan would be the number that you should place in the ... in the command. Use this to freely control what thrusters are used etc. Note: This is just an animation. 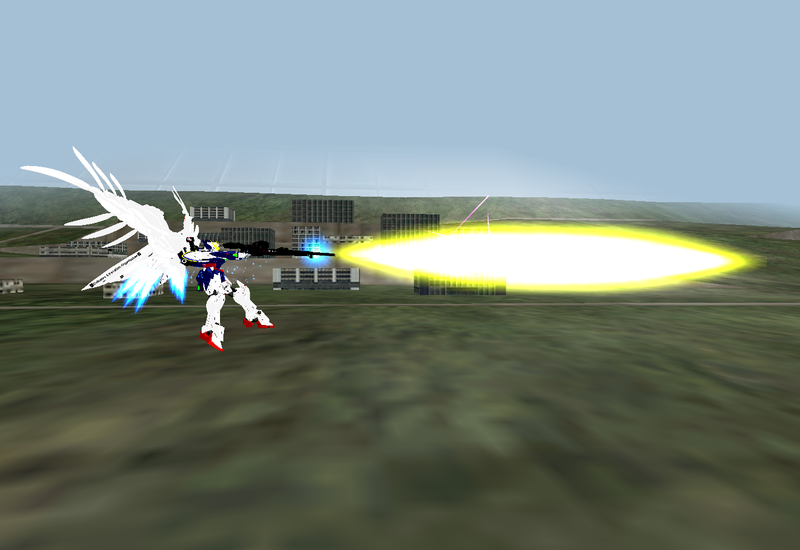 The actual speed and size of the mech and burner, respectively, are not affected. Tip: Don't use this with ExecScriptEveryTime or the sound would be played continuously, making it sound weird. 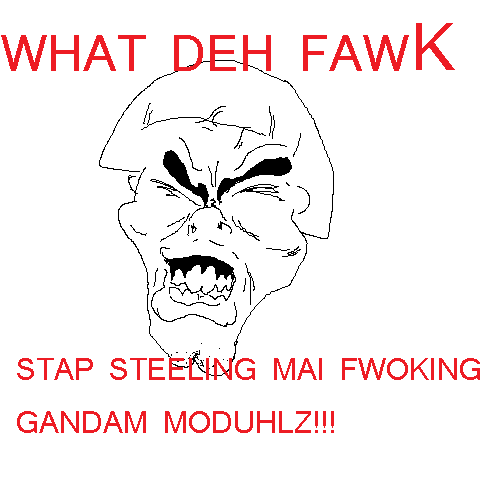 ShotTurnAng = ...; [Values: 0~180 (This command turns the mech according to the values you put. For example. Starting with ShotTurnAng = 99; (or anything else) It locks the mech in the position, 99degrees from the (needs to confirm from where), and the next ShotTurnAng = -6; turns the mech accordingly, since it is a opposite sign. The 6 tells you how fast or slow the mech turns. AnimeLoop= ...; [Values: 1 (Allows certain parts of a script to be used continuously until the button controlling it is let go.) An example is the walking script above. That should give you more insights about what it is about. Well, that is the end of all the Basic Commands for scripts. You are now considered an intermediate .ANI editor if you understand, while being able to apply what I have just said. Congratulations! Every code block has a byte control and I will call them "Header". You can find them by looking for a part start with "00 00 00" and end with "00 00"(easy way to find them is looking for comment symbo ['] before if statement like " ﾍﾌﾌ= '下半身のみ"). it maybe "CD CC CC 3D 10 01" or "0A D7 23 3C BC 00" dependent by length of block code. To add your code length, you just change number in "C" index start with "C2",example I want to add 5 chars in block and header of this example is "CD CC CC 3D 10 01",and this is result "CD CC CC 3D 15 01", if your code are "CD CC CC 3D FE 01" then "CD CC CC 3D 04 02". If you do not understand this, refer to this tutorial. [Guide] TO THOSE WHO KNOWS WHAT THIS IS... "HERE'S A GUIDE"
Well, that is pretty much the basics of .ANI Editing. As you embark on your journey to become an excellent .ANI Modder, I wish you all the best. Persevere on and finish whatever you have started. Don't give up before you even try. ANI modding is difficult, but it is nothing compared to what humans can do. After all, the original game is also made by a human! wow this is a pretty helpful tutorial, is it alright if i post this on sites like Amecha too? although i disprove it...ask the one who made it. what i do approve is: give the link to this page. "although i disprove it...ask the one who made it." winz00e is going to get the first priority. if you want, wait till i completed the entire ani tutorials first. CometStrife wrote: winz00e is going to get the first priority. if you want, wait till i completed the entire ani tutorials first. Yea, those guys in 3DG almost made me racist at one point. and meh, don't find how its arrogant but its just annoying sometimes when they do passwords, i'm like: WHHHHHHHHHHHHHHHHYYYYYYYYYYYYYYYYY!!!!!??? ...then ur a half sucker! ok ok, ...sheesh! no more bad jokes...that will end conflicts ^^"
lol, i was just saying laaaaxxxxxxxx, anyway so far anyone understands my tutorial? mangakaninja wrote: ...then ur a half sucker! Dont worry... i didnt take it seriously... and besides i hate myself too... having a chinese blood. lets end this discussion here. back to topic. theres no GScript in mine whenever i re-pack the script. it just updates the script. ok....i'll pretend i didn't hear that. 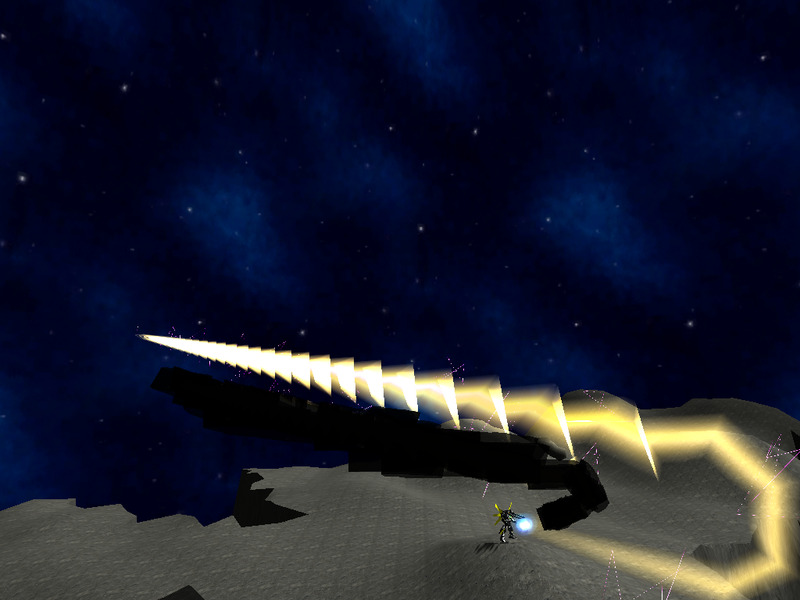 also comet, is it possible to have the funnels shoot bullets?